I agree, just saying that's changeable. You also don't necessarily need a daily cloud backup. You can shut off the Google Drive backup though. This is in contradiction to the KJ dialect lesson provided by @Something Fishy this video should be די קראך פון דער זויערפיקעל, based on that lesson. Technically, but this is regular english. Up In The Air / Re: BEWARE: Lufthansa &quot;Kosher&quot; from FRA loses kashrus. AKA די קראך פון די פיקעל. FYI, BofA requires a hard pull on both the AH and Joint user. Just try to find a a business saver award on DL or UA to TLV. These go out full, so they don't open them up for saver awards except for the rare cases where inventory management decides that there would be spoilage. Same reason why CX and LH open premium space close-in. 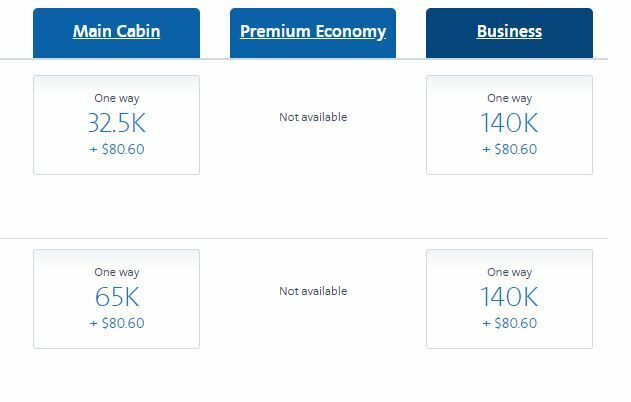 I'm guessing this is only true to an extent (an acceptable one to the airlines I'm sure), as there are pax that would've paid cash if not for mileage availability. They aren't selling tickets, they are selling an expiring currency of which they control the value. So they can use whatever creative formula they want for the liability. And upon redemption (other than partner redemption - which I would love to find out how those are accounted for) they erase the liability and recognize a small operating expense not directly related to the liability. Not to mention expiring miles that's pure income. Either way, this is starting to look like AA is going Delta on us. ...except for the service and operational reliability of course. Is the new AA award search an indicator that they're moving towards dynamic pricing? To what extent do you even have personal identifying information? I don’t recall having to disclose any at DDF signup? Is this a case of misplaced paranoia/overreaction? Email address and IP address should go a long way. Only to a certain extent and miles are definitely not cash in the same way. It requires a bit more work, yes, but at the end of the day it's all about how you set your mind and what you expect out of your CC spending. I'm not disagreeing with your sentiment, I'm just saying that you could use the cash back just as easily to repair the leak in your roof as you can on a vacation. What you actually choose to use it for is irrelevant, it's a cash back card just like any other, just book a refundable. Same can be said for miles. Yes. Bay Harbour, Bal Harbour, Surfside are all in the same eiruv. It doesn't cover the beach, although it does cover the walkway next to the beach. Also you can't walk to Sunny Isles as it's outside techum shabbos.